This is the image of a spring blooming tree, the topic for an upcoming adult paint workshop. 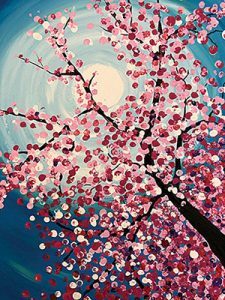 RAL Art Center, 19 North Main Street, Kilmarnock, will host an adult paint workshop, “Pretty In Pink,” from 6:30-8:30 p.m. February 15. The instructor will be Marilyn Sprouse. Paint Night is for the beginner or experimental artist reported Cathie Elliott. Join Sprouse and paint spring blooming as if looking into a tree. The fee is $30 for members and $35 for non-members. The fee includes all materials. Participants may bring a beverage of their choice. To register, call 436-9309.